Fabric in hand, it’s time to pull out the pattern and get down to business. 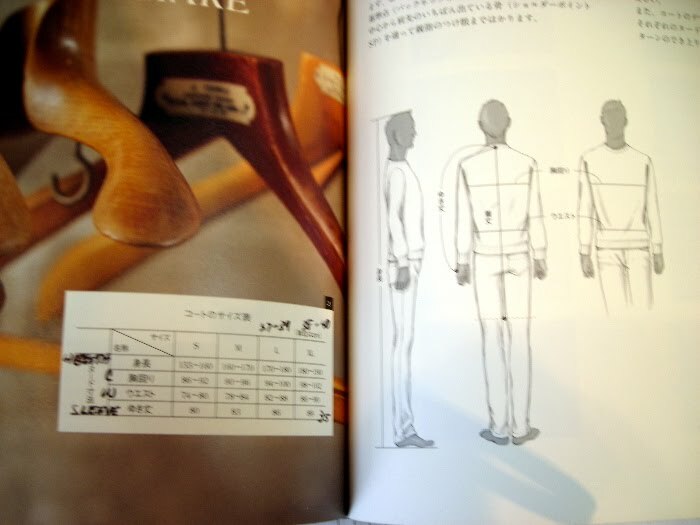 My pattern has sizes S – XL , a size chart and figures of a man showing chest, waist, arm and height. Using my handy dandy dashboard converter I find that the chest measurement for Size M (which I consider myself to be) is only 35″ – 37″. Yikes! I will have to go all the way to Size XL ( 38″ – 40″ chest) to get even close to my 40″ chest measurement. Clearly I’m going to have to learn how to alter a pattern if this coat is ever to fit me. I will start by making the basic pattern pieces using the XL lines, sew up a muslin and see just how SMALL this coat is going to be. Wish me luck! I sew with japanese patterns. I normally have to slash each piece in four places- two width-wise and two length-wise. Depending on whether there is an LL women's I add 1/2 -2 inches across and 2-4″ lengthwise. I'm hoping I can come up with a “formula” like you have. 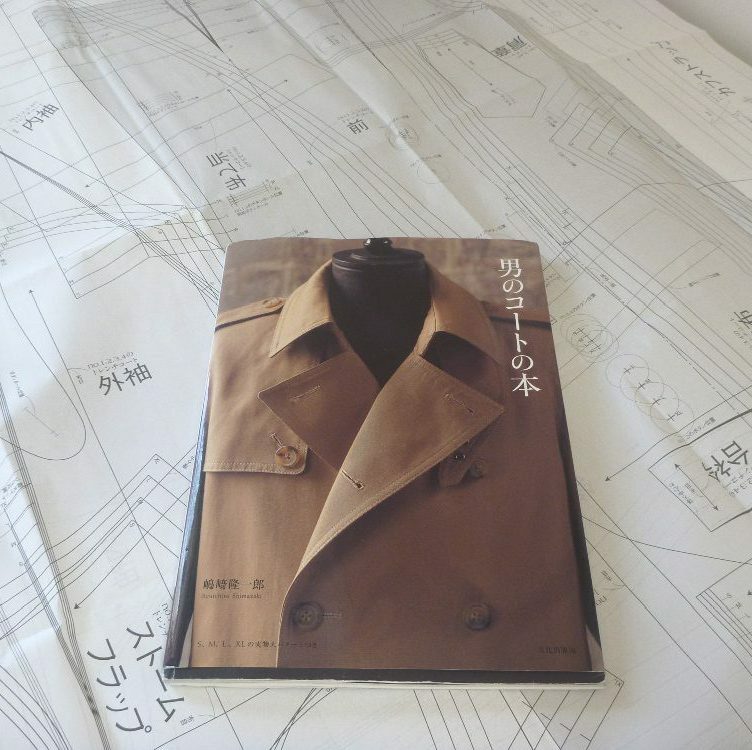 There's a great looking Burbury style trench in this book that I'd like to try eventually. Mmmm linen with a madras lining!??? BTW I'm so glad you found my blog! Please keep sharing your secrets. Love your blog, I learn a lot of useful stuff–but jeez…I'm bigger than Japanese MEN????? not so sure I wanted to learn that. Kinda alters my image of myself as a dainty girl. Maybe the patterns are designed for display mannequins?